How Can We Make a Difference to Our Planet and Help Stop Climate Change? It can be pretty scary to think about the drastic effects of climate change, but sadly our planet is starting to feel its impact due to globalisation, modern technology, overpopulation, and extreme poverty. Most of us learn about global warming in school and by watching television; however, most of us never take the first step to help the planet. 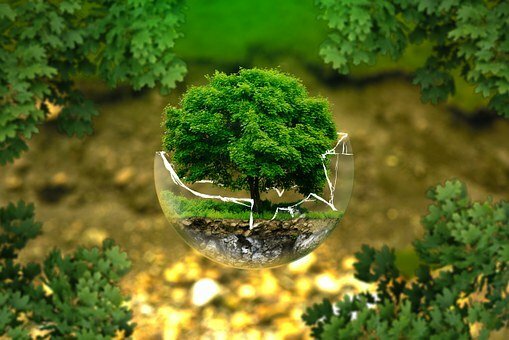 Now is the time to be proactive and here are some tips on how to help make a small difference in our planet and make it a better place to live. Excessive fuel consumption results in more significant carbon dioxide emissions which is not good for the ozone layer. One way to help the atmosphere is to drive less if you can. Instead of using your personal car when going to work or running some errands why not consider carpooling or taking mass public transport instead. If your destination is quite near, then you may walk or ride a bike, and your body will appreciate the extra exercise for the day. According to experts, one of the most significant contributors to carbon dioxide is motor vehicles. It would be nice if you can find ways to reduce your output even by doing small things. If you want to see significant changes in your surroundings, then you should probably organise a clean-up scheme within your neighbourhood or join Frontier gap years as one of the volunteers and make a difference in society. You may take the lead and seek help from people who are willing to spend some time picking up the trash and consistently sweeping the streets. If people around you see positive changes, then it means that you are doing an excellent job for your community and it can inspire many people to do the same thing. Rather than getting rid of the stuff that you do not need or no longer use, why not try to find another use for it or you can donate to charities or shelters. Recycling plays a significant role in climate change due to energy conservation. Less energy is used when creating something from recycled goods rather than starting from scratch. Lastly, recycling reduces the amount of waste that goes through landfills. When shopping for groceries, it would help if you choose to buy stuff in big containers rather than in smaller packages. Although the majority of the consumers prefers plastic packaging because it is cheaper and more convenient, plastics are made from toxic materials and are non-biodegradable. Plastic materials are known as toxic components to our oceans causing different species such as whales dolphins and sharks to die because of ingesting large amounts of plastic. You can make a difference and inspire other people to be advocates against climate change by talking to your friends, colleagues and even family members about existing issues the planet is currently facing. Start with small steps and set realistic goals so it will be easier to maintain your advocacy.